Fabric & Construction: Standard in a mid-weight weight, waterproof breathable membrane laminate, durable nylon. All seams double-stitched and taped (seam sealed). 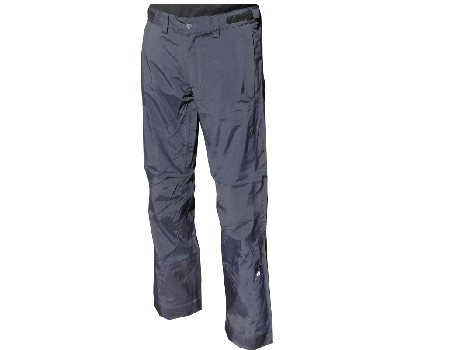 A more fitted, than our typical utility “ski” pant that is comfortable and still has plenty of features and functions. Functions: Contoured, design, adjustable waist, front fly zip, and belt loops. Internal boot cuffs, and lined with 210 for easy movement. Front Zip pockets. Comes standard as a shell (available at the MU Online Store). Insulation options of 40-200grams available with larger, advance group orders. Lining: Tricot combined with 210T for warmth and movement is standard. Group orders of 50 or more can order insulation (40-200 gram), with advance order in spring, for fall / winter delivery. Colors: Standard in Black. Check the MU Online Store for availability. Choose your own color with advance orders of 50 or more – call for details.